Dr. David Kurtzman, a graduate of Emory University’s esteemed dental school, has seen a lot of changes in the 28 years that he has been in practice and he’s made some big changes, too. He started out with a traditional dental practice providing cosmetic, reconstructive and general care, but about a decade ago he decided he wanted to do things differently. I decided to adopt a holistic approach by respecting the mind, body and spirit of each client according to the personality, health goals and desires of that person. In so doing he has structured his practice to allocate more time for each client. We do things the right way—quality is emphasized above quantity, I listen to my clients, I am not rushed and can always run on time. The people that work with me understand and share this vision. 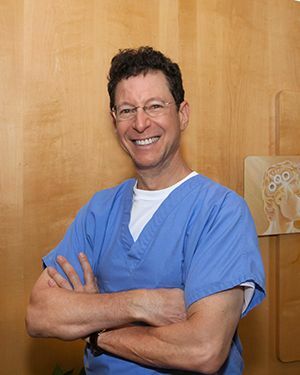 Dr. Kurtzman, affectionately called "DK" by his dental staff and many clients, is also committed to treating hard-to-treat clients— those with developmental disabilities or those with physical handicaps, clients with mild to severe medical problems and clients with mild to severe dental phobias. He does this by providing compassion and a soothing environment and by offering medications, laughing gas and oral sedation. In some cases he treats dental clients under general anesthesia in the operating room at WellStar Windy Hill and Kennestone Hospitals in Marietta. In less than nine hours in the operating room, we can often fix all the problems created by years of avoiding the dentist and complete a series of procedures that would normally require several office visits. With each of these customized options, he offers his clients his undivided attention. I listen purposefully and carefully to each client, explain treatment options thoroughly and invite them into the decision process. I’m not running from room to room—I schedule one client at a time, and I focus on one client at a time. I understand—I do not particularly like going to the dentist either. So I’m going to do whatever it takes to address their fears and put my clients at ease so that they can get the care they need. Something else you might appreciate about Dr. Kurtzman - He’s good with his hands. Who better to perform the intricate tasks dentistry often requires in the confines of your tiny mouth than an artist and skilled craftsman. Kurtzman enjoys cartooning and calligraphy, music (he has played several instruments and currently is back with his violin), has built a British sports car and renovated a house. By extension, I am meticulous about dentistry. I want my work to be perfect. Dr. David Kurtzman is a licensed dentist in the State of Georgia and a member of the Academy of General Dentistry. Dr. Kurtzman has been in private practice since 1982, providing cosmetic dentistry, reconstructive dentistry, and general care dentistry as well as specializing in hospital-based sleep dentistry. Dr. Kurtzman is a graduate of Emory University School of Dentistry, where he was a member of the Omicron Delta Kappa leadership honorary society. He also holds a Bachelor of Science degree in Biology from Emory University and is a Fellow in The Academy of General Dentistry. In addition to his work as a private practice dentist, Dr. Kurtzman serves on the Board of Directors and as a volunteer dentist for the Ben Massell Dental Clinic, a 100-year-old Atlanta charity that provides very low cost dental care to the underserved. He is member of the American Dental Association, Academy of General Dentistry, and the Northwestern District Dental Society, he also holds inactive licenses in the Northeast Region of the U.S. and in the U.S. Virgin Islands. Dr. Kurtzman has published numerous articles and is a contributing author of four books on the subject of dentistry. To stay fit, he skis, scuba dives, jogs and exercises regularly. 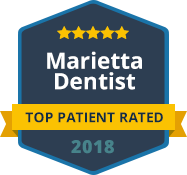 To schedule your appointment with Dr. Kurtzman, please call or contact our Marietta Dental office today!